NEW YORK--(BUSINESS WIRE)--Shiseido Americas Corporation (“Shiseido Americas” or “the Company”), a subsidiary of Tokyo-based, global cosmetics company Shiseido Company, Limited (“Shiseido”), today announced the appointment of Alexandra Papazian as General Manager of Laura Mercier, effective March 1, 2017. Based in New York, Ms. Papazian will be responsible for the development and execution of the overall strategy for the Laura Mercier business in the United States and abroad. In addition to establishing the brand’s broader goals and objectives, she will focus on increased marketing efforts, product development, digital outreach and international expansion. She will report to Jean-Marc Plisson, President of the Beauty Prestige Group. Nancy Bernardini, current General Manager of Gurwitch Products, will remain in her role to assist in the transition until April 30, 2017, at which time she will be leaving the Company. 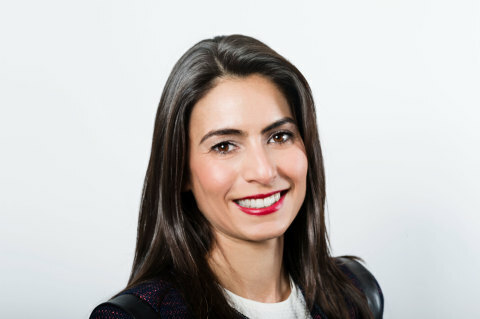 Ms. Papazian joins Shiseido Americas after 15 years at L'ORÉAL, in the US and in France, where she successfully led high-profile luxury brands like Giorgio Armani, Yves Saint Laurent, Viktor & Rolf and Shu Uemura. She successfully repositioned Yves Saint Laurent Beauty in the US as a key player and took Viktor & Rolf’s Flowerbomb to top 3 ranking in women’s fragrances. Most recently, Ms. Papazian led Sales for Fine Department Stores for luxury designer signatures Ralph Lauren, Giorgio Armani, Yves St Laurent, Viktor & Rolf and Maison Margiela. Shiseido was founded in 1872 as the first Western-style pharmacy in Japan. The business gradually evolved into a cosmetics company, offering people the most advanced technology and the finest aesthetics available in the East or the West. Now known globally as the premier cosmetics company with roots in Japan, the name Shiseido has come to represent the world’s highest standards of quality. Shiseido’s global selection of skincare, makeup and fragrance includes a high-performance category for special skincare, and a brightening line. Shiseido also offers body care, suncare and a skincare line for men. Fiercely contemporary and innovative after over 140 years in business, Shiseido group brands are now sold in over 120 countries and regions. For more information, please visit http://group.shiseido.com/.